Blacktip aggregating off Singer Island in Palm Beach, Florida, USA. Photo by Stephen Kajiura. Every year thousands of blacktip sharks migrate along the coast of South Florida. Marianne will film the aggregation with drones and then use her knowledge of engineering and physics to understand how the animals move. This is the first time that shark-swimming kinematics will be studied in the wild! I study the mechanics of how sharks swim and it is no surprise that I enjoy talking about swimming all day long. Although I was born in a desert, I am at home in the water. I grew up in Arizona and learned to swim at about the same time that I learned to walk. Since then my life has revolved around water and swimming. My love of water extends to any body of water and I am especially attracted to the raw power of rivers and oceans. Are we there yet? How about now? This study will capitalize upon the unique blacktip aggregation to assess the impact of climate change on migratory marine predators. Warming oceans drive the sharks to higher latitudes, increasing the distance of their annual migration and energetic costs en route. 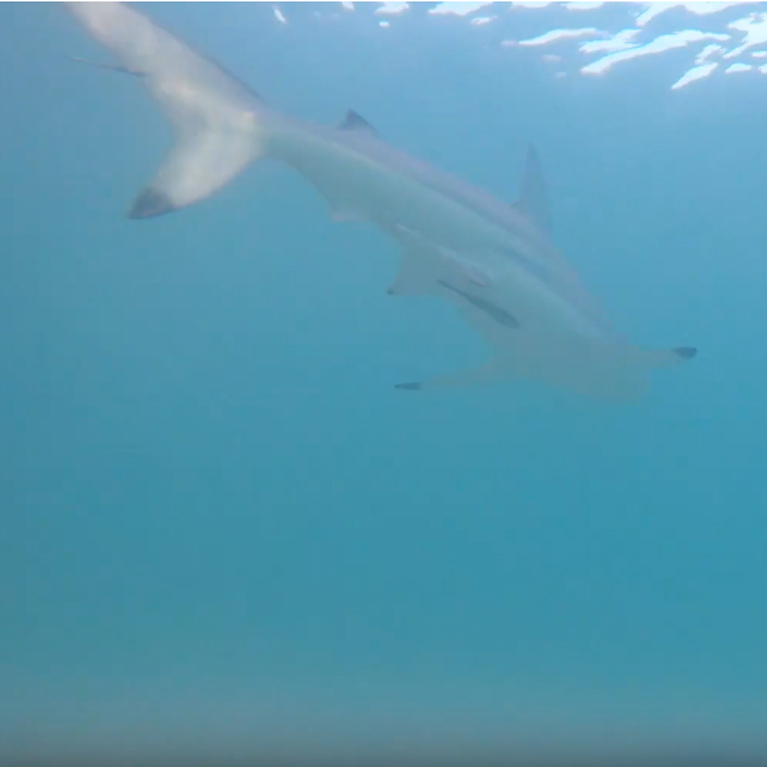 We aim to examine the movement ecology of blacktip sharks. Every year in the Western Atlantic, blacktip sharks undertake an extensive migration, correlated with water temperature, swimming approximately 1.1 million body lengths each way from Southeast Florida to Long Island, New York and back. As global temperatures increase, the blacktip northern range has expanded correspondingly, and they now migrate up to 50% farther than reported historically. A range increase of this magnitude imposes a significant energetic burden on the sharks as well as an impact on the local ecosystem as they extract nutrients. Additionally, throughout their range, this species is commercially harvested and recreationally targeted. Global temperatures are continuing to increase and it is important to have an understanding of the blacktip’s movement ecology. Every winter in Southeast Florida, the sharks aggregate for several months by the tens of thousands. These aggregations present a rare opportunity to instrument many individuals as well as examine their swimming kinematics in the wild. The broad aim of this project is to gain a better understanding of one of the most massive shark migrations in the Western Atlantic. Blacktip sharks exhibit a well-known, but poorly studied, seasonal migration along the US eastern seaboard. Hundreds of thousands of individuals migrate from summer mating/birthing grounds in Georgia and the Carolinas down to overwintering grounds in Southeast Florida. There, they form massive aggregations in nearshore waters from January-April. The tremendous number of sharks, in close proximity to popular swimming beaches, is visually engaging and always commands significant media attention. This attention in turn provides an opportunity to inform the public about the sharks and their important role in the marine ecosystem. Recent work has determined that the blacktip shark migration closely correlates with water temperature. As global water temperatures have increased, their northern range has expanded correspondingly. As a result, their migration is now up to 50% farther than it was just 70 years ago. Expansion of their summer range to higher latitudes will likely result in the establishment of new mating/pupping grounds and nursery areas. Effective conservation and management requires a delineation and knowledge of this new critical habitat. The increased migratory travel distance and duration imposes a significant energetic burden on the sharks. As they travel farther north, these upper trophic level predators will exploit local resources, which have not previously been subjected to this degree of predation. The increased level of predation, due to the presence of these additional predators, will directly impact the trophic ecology with potential cascading effects through multiple trophic levels. 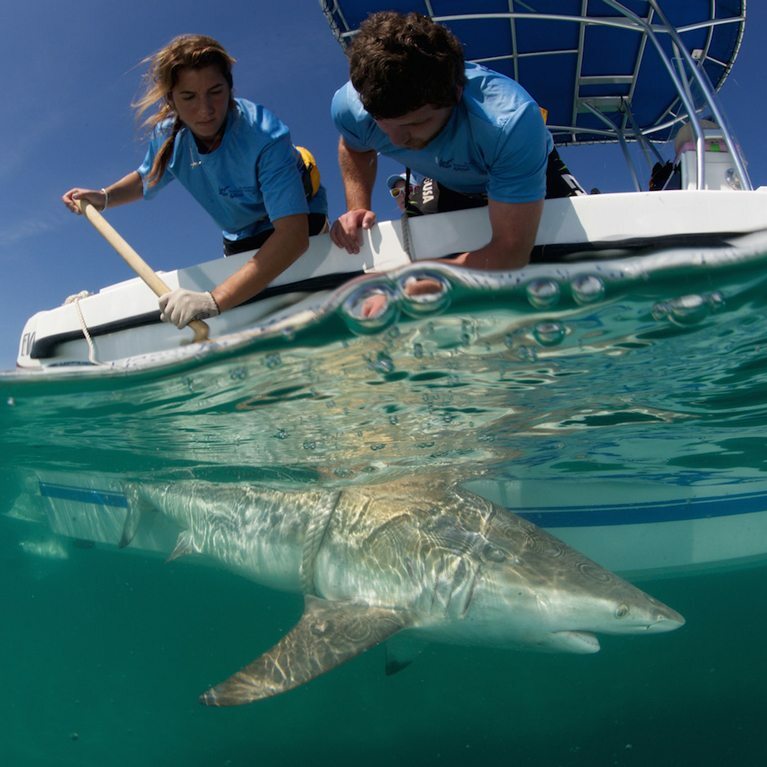 This project plans to study these various aspects of the blacktip shark migration to better understand the entire phenomenon from the level of the individual to the entire coastal ecosystem. This project will determine the migratory route of blacktip sharks in the Western Atlantic. Recent advances in acoustic telemetry have provided a mechanism to collect data on swimming kinematics of free swimming fishes in the wild using 3D accelerometer enabled acoustic transmitters. We will instrument blacktip sharks with these 3D accelerometer transmitters and use the data to estimate the energetic cost of their migration. The instrumented sharks will be detected by an array of acoustic receivers distributed along the coast of North America from Florida to Nova Scotia. Data from these receivers are shared freely among the researchers who are members of collaborative telemetry networks. The movements of the blacktips will be reconstructed from the receiver detections and their seasonal migratory pattern delineated. From this we will determine the northern and southern extents of their migratory range, and identify critical habitat used by these sharks throughout the entire year. In addition, the 3D accelerometer data will provide information on their swimming kinematics during their migration and when they are overwintering in Southeast Florida. These accelerometer data can be used to estimate energy expenditure and thus how much energy (in the form of prey calories) the sharks must extract from the environment. 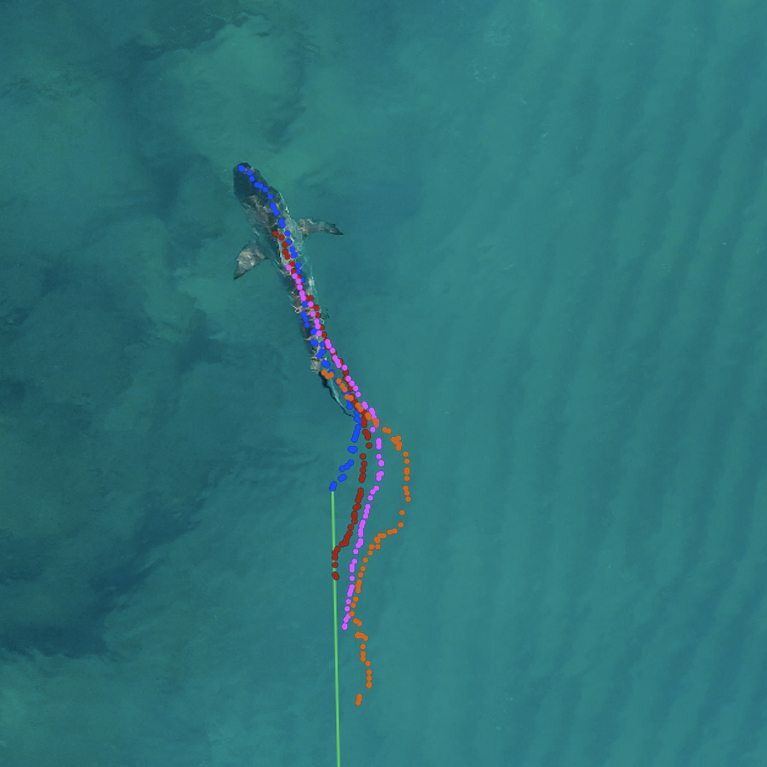 The massive aggregations of sharks each winter in the shallow, clear waters of Southeast Florida provide a unique opportunity to ground truth the accelerometer data with direct observation of free swimming sharks. This will be accomplished by collecting high definition video of the sharks from cameras mounted on aerial drones. Blacktip sharks are harvested commercially and targeted recreationally so to provide effective management, it is vital to know about their migration and where the entire population is distributed throughout the year. As the northern limit of their migration expands due to global warming, the sharks will also establish new critical habitat, which must be identified to provide appropriate conservation. Delineate northern range of blacktip migration. Sharks will be instrumented with acoustic transmitters detectable by the FACT and ACT arrays of receivers distributed along the coast of the Western Atlantic from Florida to Nova Scotia. Their movements will be reconstructed from the receiver detections and their northern distribution limit assessed. Identify critical habitat. Blacktip sharks form large aggregations in nearshore waters off Southeast Florida each winter. Females are known to birth their young in bays from Northern Florida to the Carolinas. By determining where these sharks travel and reside we will be able to identify critical habitat necessary for conservation. Quantify swimming kinematics during the migration. The acoustic transmitters will include 3D accelerometers, which will provide relative swimming speed, including diurnal differences. The accelerometer data will be recorded by the FACT and ACT receiver arrays. These data will be used to estimate the duration and energetic cost of the migration. Volitional swimming kinematics. 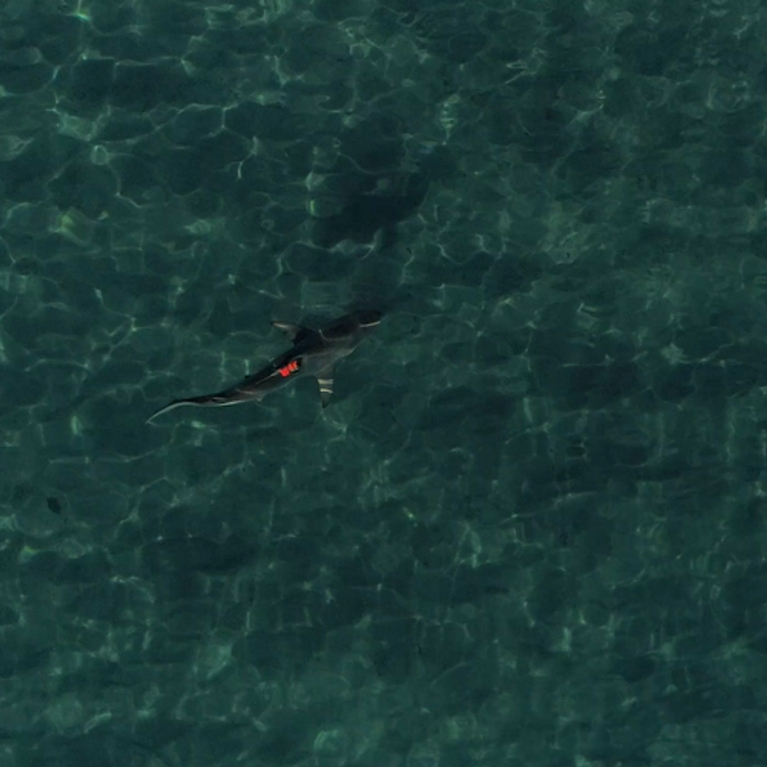 An aerial drone will film schooling sharks in the clear waters off Southeast Florida during the winter to enable quantification of tail beat frequency, which will be correlated with the 3D accelerometer data. These data will calibrate the swimming kinematics data from objective 3. Does body size influence how much energy a shark needs? Evan is investigating how this is linked to the home range size of lemon sharks, and how they use their habitat. Do sharks move to follow their prey or to avoid the areas where their predators are most abundant? Cheston is looking at what effect the densities of blue crabs (the prey) and bull sharks (the predator) have on where bonnethead sharks choose to move. Sawsharks are some of the most threatened species in our seas; protecting them requires good information on where they move and what their populations look like. 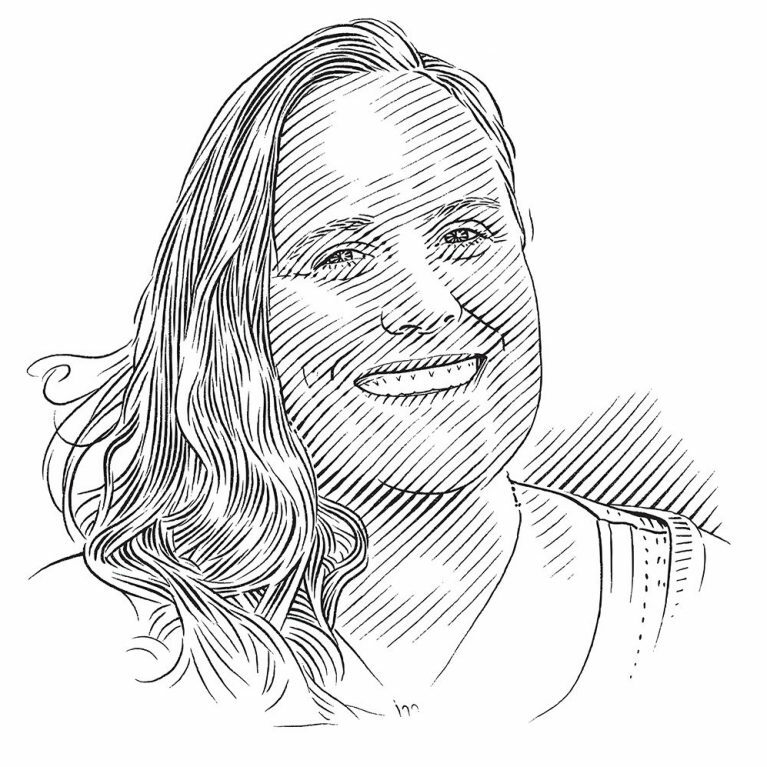 Jane and Paddy are using a variety of methods to improve our understanding of the conservation status and management of sawsharks threatened by fishing in south-eastern Australia.